My husband and I went in because he saw a truck he liked online. We met with Chris and he was very professional and upfront during the test drive and purchase. We went in late so we had to finish the purchase the next day, we had no problems with them saying something the night before and then changing it the next day like other people have said on here. Chris was great and worked with our busy schedule to get the paperwork signed and the truck in our possession. Car buying is not the funnest process but it was pretty painless and the truck was VERY fair priced. We will definitely be going back for our next vehicle. I have got to say that growing up with family in the car business and around it all my life this is one of the few good dealerships. They are honest with you even when it's not necessarily what you want to hear, but it allows you to make an educated purchase. 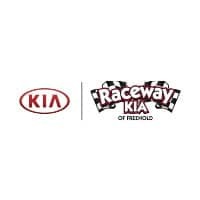 Thanks again Raceway Kia and especially Chris! My hubby loves his new truck! We had a very bad experience years ago with the previous ownership but needed to bring the car to service at this dealership. Wow, what a difference! Staff was courteous and efficient. I take back my promise never to buy a car from this place again. New ownership, new management, new nicer staff. Lauren went above and beyond to help me. Actually, everyone else was nice too. Joe and Lauren in the service department are wonderful to deal with. They deliver on their promises and are conscientous people. Highly recommended.